After you install your CIPP liner: Install Pipe guard inside the clean out, by placing our product directly under the sewer cap. In the case of a backup, the next plumber will know you have a sewer lining inside the line and they wont run their snake through it. Simple, effective and professional, protect yourself and your work. 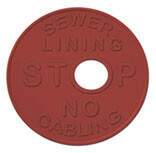 The best way to protect your sewer liners from getting cabled. Avoiding any unnecessary costs, liability and headache. 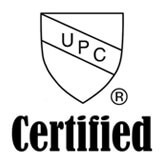 Our Liner disks are approved by IAPMO and have the UPC seal of approval. Our product is simple yet effective, it can be installed in many ways and will never fail you or your clients. 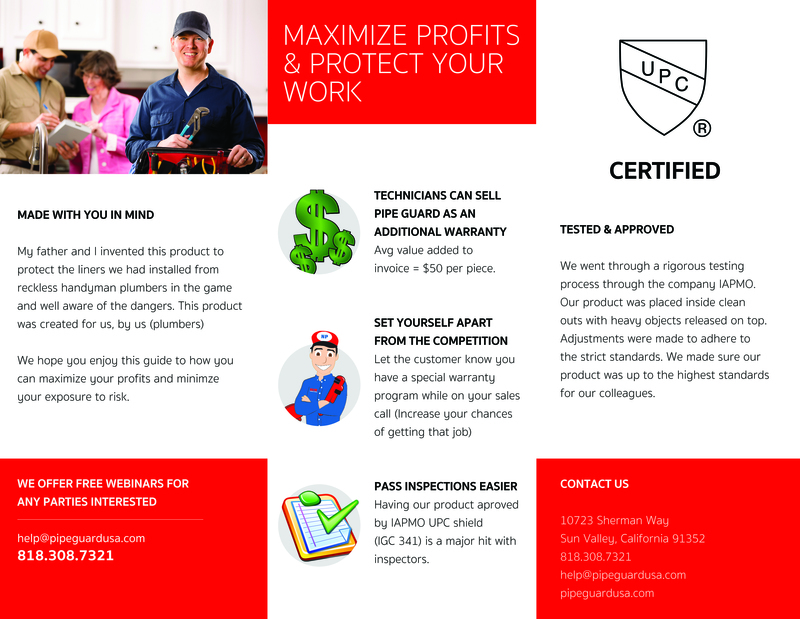 At Pipe Guard USA, we care about plumbers more than anyone in the world. Our motto “Created by Plumbers, for Plumbers” says it all. Pipe Guard USA started as a father and son duo (Stepan and Peter Zamkochyan) in 2014. Upon completion of a sewer liner. 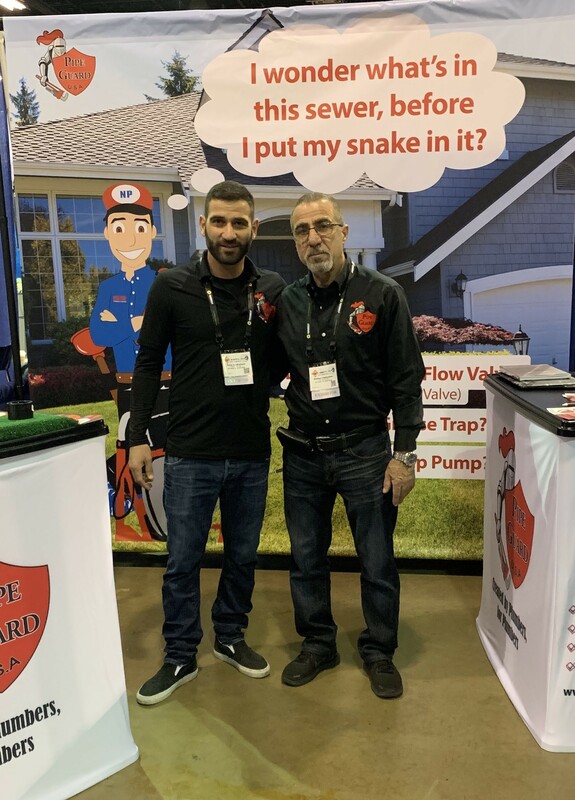 They wanted to do more to protect themselves from anyone sticking a snake in their CIPP liner, instead of writing a note on a paper invoice stating “MUST USE HIGH PRESSURE WATER TO CLEAN SEWER LINER”. The duo went to their workshop to come up with a better way to mark their sewer liners and created the perfect solution for the industry. Today, we are proud to say that Pipe Guard USA is certified by IAPMO (IAPMO IGC 341), is made in Los Angeles, California with all American ingredients (HDPE). Pipe Guard is the most effective way to mark your sewer liners, backflow values or grease traps. 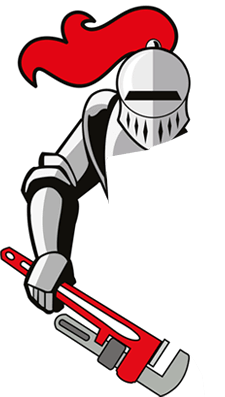 We appreciate you taking the time to get to know us, please email us at info@pipeguardusa.com with any questions or suggestions.